After writing about my wonderful trip to Thailand a couple of years ago, I asked my good pal Nicola from I am Crabstix if she’d like to share her experience of travelling around Vietnam. I wish we’d known each other back then as I bet we’d have been excellent travel buddies! I’m Nicola, 34, from County Durham. I’m a recovering travelling fanatic (mostly Asia), moral crusader (I don’t eat pigs because I like them) and owner of about 75% Orla Kiely’s back catalogue. Mum to RLT who was born June 2016. I promised my partner, Mark, that having a child would not stop our travel experiences. I kind of fibbed a little bit and we took RLT to an all inclusive resort on the Costa Del Sol for his first holiday. I knew I wouldn’t get away with it for long (and kids are free until 2 remember! ), so we have booked a trip to Cuba this month. A ten hour flight with a baby will bring on a completely different kind of blog post, I’m sure! Anyway, going back to the days of 2013 when we hadn’t even discussed the prospect of having children, we took one month annual leave over July and August and ventured to Thailand, Vietnam and Cambodia, spending the majority of the time in Vietnam because we loved it so much. We spent a night in Bangkok (visited Kho San Road as I’d never been, never again). Then flew to Hanoi in north Vietnam, when we got there we were taken aback by the traffic (madness), buildings (lots of them very close together) and the pollution took a bit of getting use to. But from the moment we got there, we liked the laid back vibe, hospitality of the people and the food! By goodness the food was amazing! 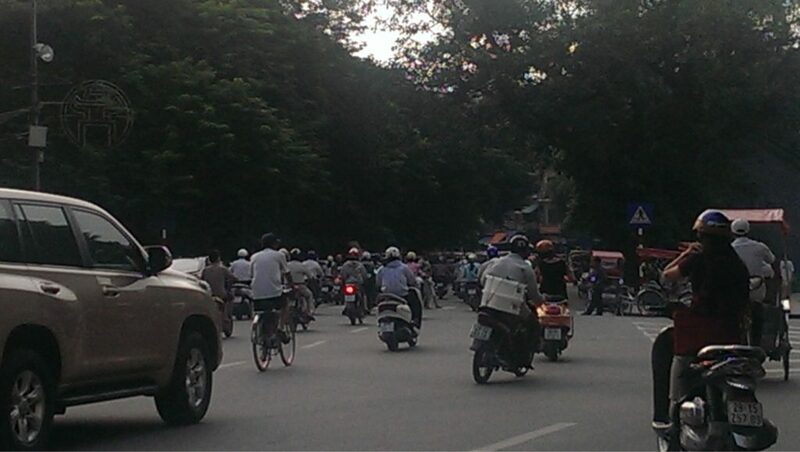 I’d been to Japan and China before, so I wasn’t completely oblivious to the traffic in Asia, but Hanoi was crazy. Roundabouts certainly perplexed drivers, but it was hilarious to watch! 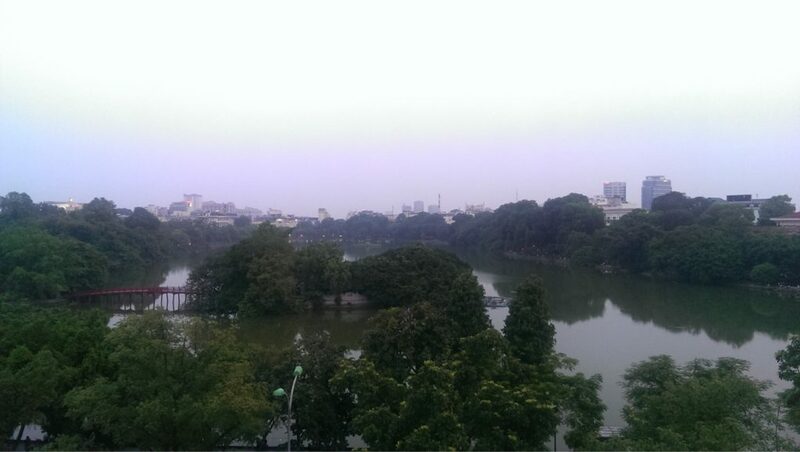 We stayed in Hanoi for a few days, taking in some of the sights such as the lake and the water puppets. It was brilliant, I couldn’t breathe for the humidity and the heat – but apart from my sinusitis I was loving the food, way of life and friendliness. 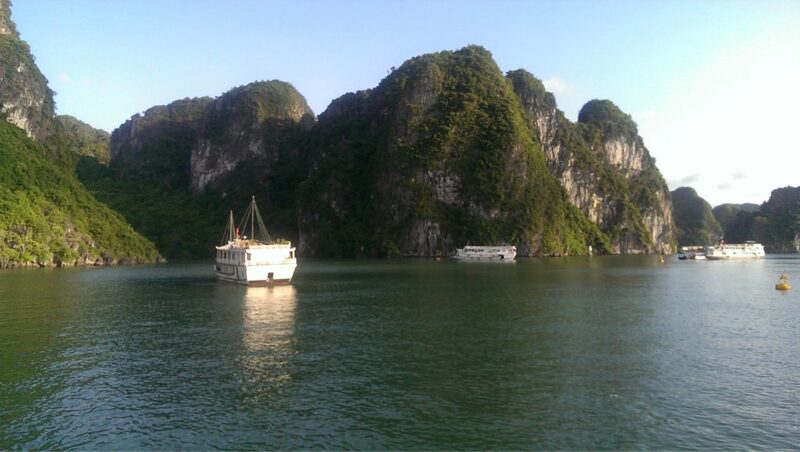 We booked a boat trip to Halong Bay, which was three days and two nights on a boat. I would thoroughly recommend this because the views on the South China Sea are breathtaking, as is being able to Kayak there. Even I, massively terrified of the sea jumped off the boat at one point (well in my head I did, in reality I lowered myself down the boat steps 😂) because the water was so clear (I could see no fish or sharks were going to eat me). 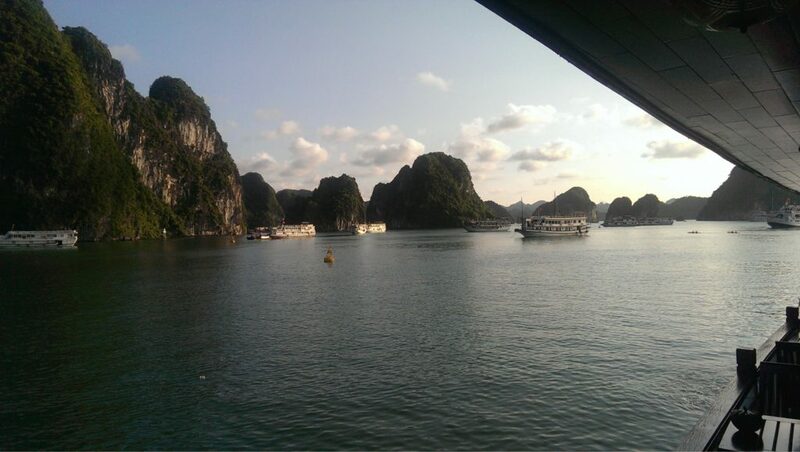 We went on the Viet Beauty boat as we didn’t want too cheap and we didn’t want too expensive, so we went mid-range. It was spot on! Then after our boat cruise, we went back to Hanoi and caught a flight to Da Nang airport and made our way to a little town called Hoi An. We loved this little charm of a place so much, we extended our stay. Bike hire was free from our bungalow, and we just loved the food (Morning Glory restaurant and our hotel food in particular as it was a home stay so all home cooked and beautiful!). The architecture was like nothing else we’d experienced in Vietnam, it was a mixture of Chinese, French and Japanese – topped off with a Japanese covered bridge and a pagoda, which was a hive of activity on an evening. 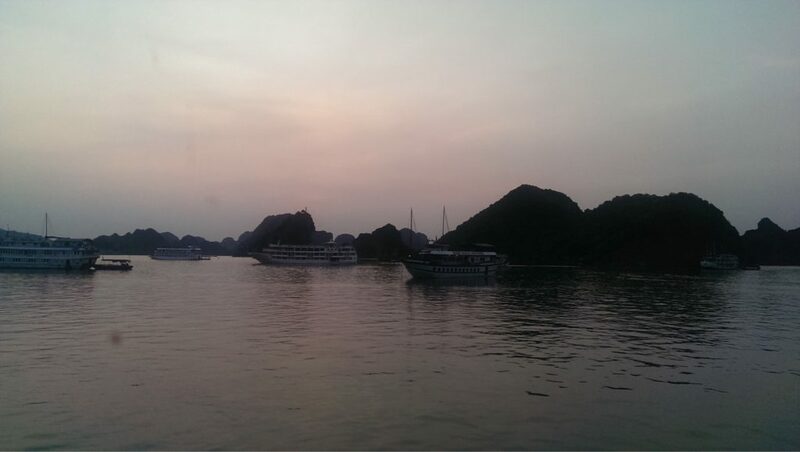 It was great after the hustle and bustle of Hanoi to experience a slower pace of life. We then went to the complete opposite and went to Saigon so that we could visit the Chu Chi Tunnels. I’m not afraid to admit that I did not enjoy Saigon or Ho Chi Minh City as it is now called. Very Americanised due to the Americans being based there during the Vietnam war. Very western bars, lots of prostitution, western food – I’m glad we’d experienced the nicer part of Vietnam before we came to this. The war museum is heartbreaking, obviously it is a little one sided, but it was barbaric what the Americans did to that country, the impact of the use of agent orange is astounding. I was sad that my experience of Vietnam ended in Saigon but at the same time I couldn’t wait to leave. Although it did prepare me a little for the realities I was about to face in Cambodia. It looks so beautiful! Thailand is one of the places I would have loved to go to before hand, although now I think it’s been replaced by Vietnam on my wishlist!